The young man might look small in stature but he seems to possess the same strength like that of the Biblical Samson who fought against the Philistines. 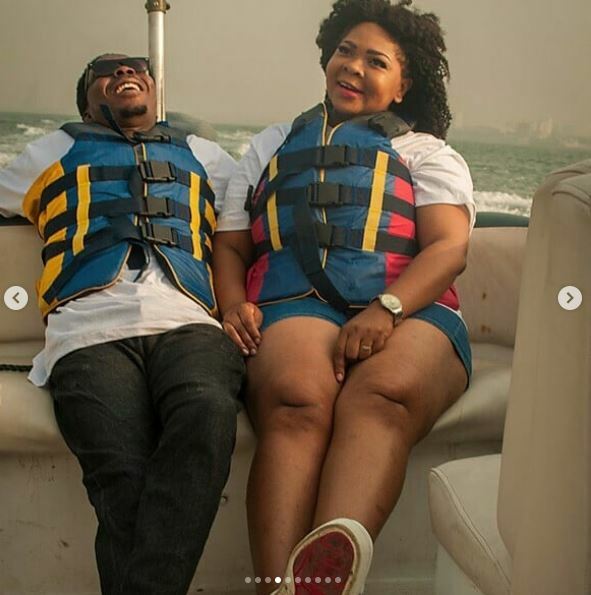 He is set to get married to a woman who is on the plus-size and he is excited about the energy-tasking exercise ahead. In one of the pre-wedding pictures, he was seen admiring the natural endowment of his future wife.